The second attempt on the second day of attempts of members of oppositional Birdamlik PDP of Uzbekistan to meet Nafosat Olloshukurova, an activist of our party, who is kept at the detention centre, which is called “Panelnaya prison” by ordinary people, located at the Chashma street of Yashnobod district of Tashkent city, has been unsuccessful again. The guards of the facility, the guards on duty did not give permission to the Secretary of the Party Qahramon Mahmud, members of the Council Board Dilorom Iskhaqova and Ruziboy Azimy to meet Nafosat Olloshukurova. They even refused to accept the personal hygienic supplies and food that the party members had brought for Nafosat. By telling the party members that they could only accept clothing according to the regulations of the facility and their centre was supplying the detainees with food three times a day, they even refused to take a piece of paper with a message for Nafosat Olloshukurova. When the activists asked them a question on the time Olloshukurova would be freed, the facility officers told them coldly that she had been detained only on the previous day and were surprised why they were asking about the time for her to be freed, and she would not get out soon. We should recall that on the 9th of January 2019, being sick and tired of the injustice done to them, of the pursue and pressure, Nafosat Olloshukurova and a group of other women held a demonstration at the reception office of the President of the country. When the President’s administration paid no attention to their protest demonstration on the first day, they walked out for demonstration on the following day as well. While they were standing in the street on the second day, the officers of the Department of Internal Affairs of Yakkasaray district of Tashkent city arrested and fined them, but sentenced Nafosat Olloshukurova for a 5 days arrest. We think, those who had arrested Nafosat Olloshukurova for 5 days are not qualified specialists of their professions, but must be only those who managed to somehow finish their education with the help of moneys of their fathers or purchased their diplomas, and working diversely or those “professional specialists” who are ready to unquestionably fulfil the instructions from above. For qualified specialists would not always dare arrest women who have marched to a demonstration demanding their rights and whose children are only two-three years old. Yes, the organ, which arrested Nafosat Olloshukurova, must carry responsibility for their deeds. We ask the international community to pay attention the event that happened to Nafosat Olloshukurova, former teacher of English with humiliation of her rights. 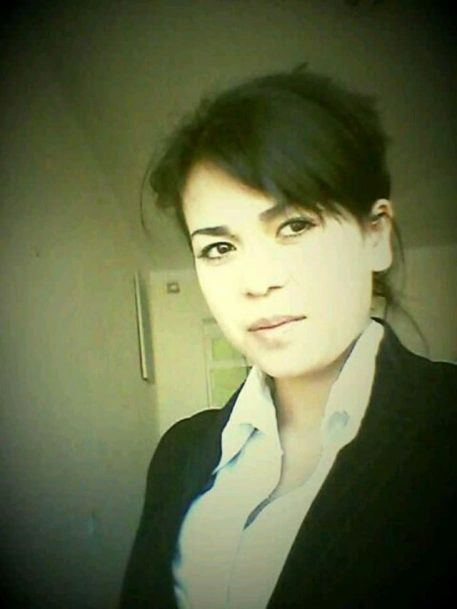 We are of the opinion that it is imperative that those smart and quick specialists at the DIA and court of Yakkasaray district of Tashkent city, who are responsible for Nafosat Olloshukurova’s case, must compensate her material, psychological and economic damages caused to her. If their such actions are treated without consequences again, it can lead to many more victims.